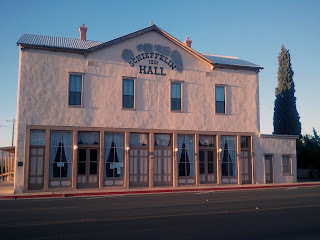 Schieffelin Hall was built in 1881 by William Hardwood and Albert Schieffelin, brother to Tombstone’s founder, Ed Schieffelin. This elaborate theater was the largest adobe building in the southwest and seated 450 on the parquet with another 125 seats in the gallery. 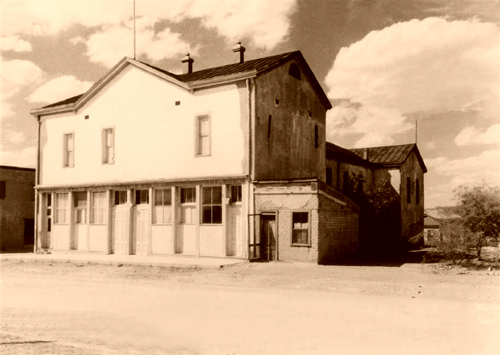 On June 8, 1881, the doors were finally opened offering the citizens of Tombstone a first class opera house, theater, recital hall and meeting place with lots of culture thrown in. The Tombstone Epitaph Newspaper said, “From the top to bottom it is by far the most complete edifice of the kind in the Territory. The drop curtain is a Colorado scene and is a work of art”. 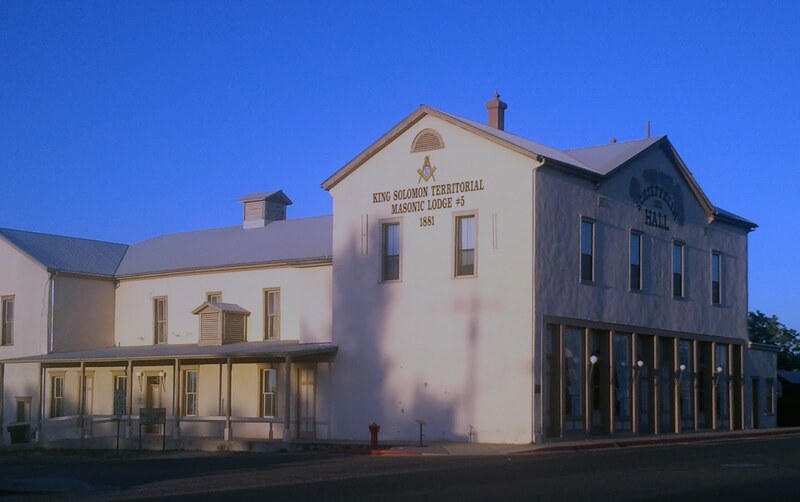 On March 14, 1881, upstairs in the Masonic Hall, the King Solomon Masonic Lodge #5 was organized. The first Master of the lodge was Justice of the Peace, Wells Spicer. He goes down in history as the one who exonerated the Earps and Doc Holliday of killing Billy Clanton and the McLaury brothers during the gunfight at the O.K. Corral. The building is used by the lodge even today. Many of the more prominent people of Tombstone were glad to have a place where the “respectable” people could go to. You would never catch any of them stepping a boot or shoe in the more sleazy Birdcage Theatre. 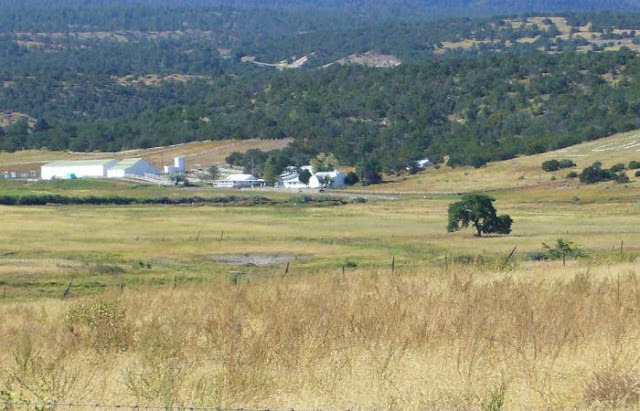 They were very proud of their new facility which provided many theatrical performances, dances, boxing matches, recitals, lectures, and even held community meetings. 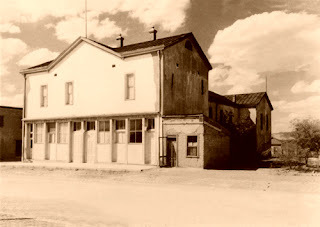 On March 18, 1882, Wyatt and Morgan Earp attended a performance of “Stolen Kisses” at the hall before going to the Campbell and Hatches Saloon where later that night Morgan would be shot and killed by the Cowboy gang. They were seeking retaliation for his involvement in the gunfight at the O.K. Corral. 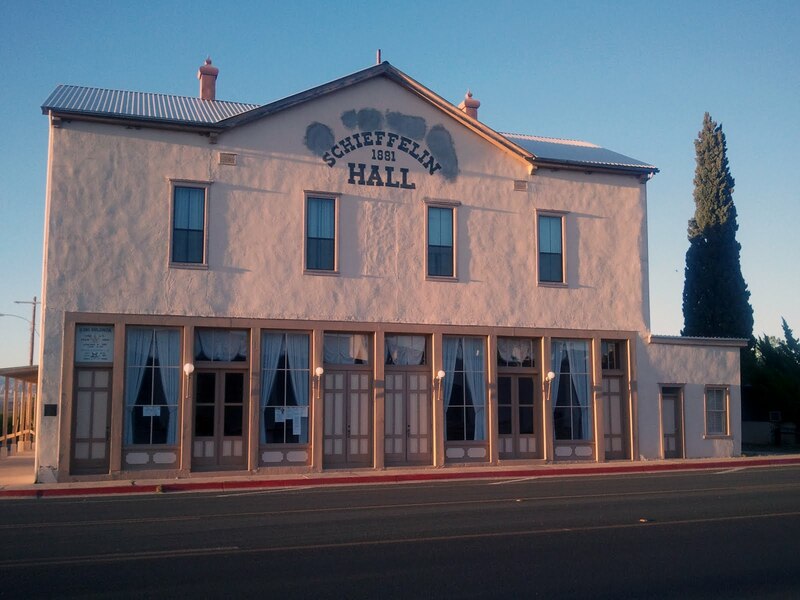 Also that same year, Schieffelin Hall narrowly missed getting burnt by the fires that destroyed many of Tombstone’s structures. It did get scorched by the intense flames. By the early 1900’s, the hall was showing “moving” pictures. 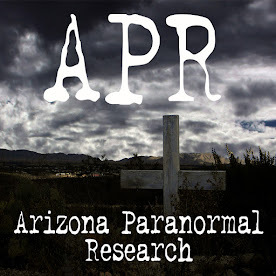 On October 15, 1966 it was placed on the National Register of Historic Places. Today the hall is primarily used for City council meetings and for local gatherings, fundraisers and theatric performances. That building was wicked cool at sunset. Very beautiful pics and great backstory. I wondered about that place. I agree with Autumnforest. I wonder what's in there. Another informative Post. If those walls could talk, I'll just bet there would be a whole lot to say. I wanted to know the story of this building too, Sis. Apparently it is where all the upper class, snotty folks gathered. 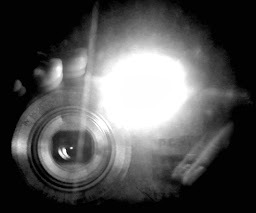 Next time I would like to see the inside. 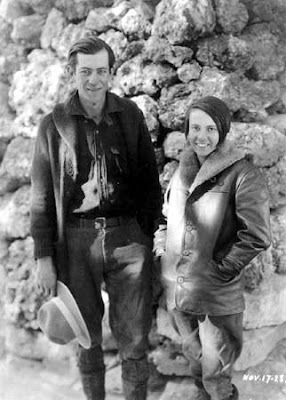 Les, Tombstone has thousands of stories. I am loving them all. This town was bursting with the well-to-do, along with the good, the bad, and the ugly. It's a beautiful looking building.